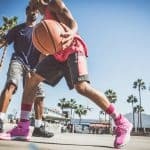 There is no more important skill in basketball than shooting. Dead-eye shooting has taken average athletes to great heights in the best league in the world. 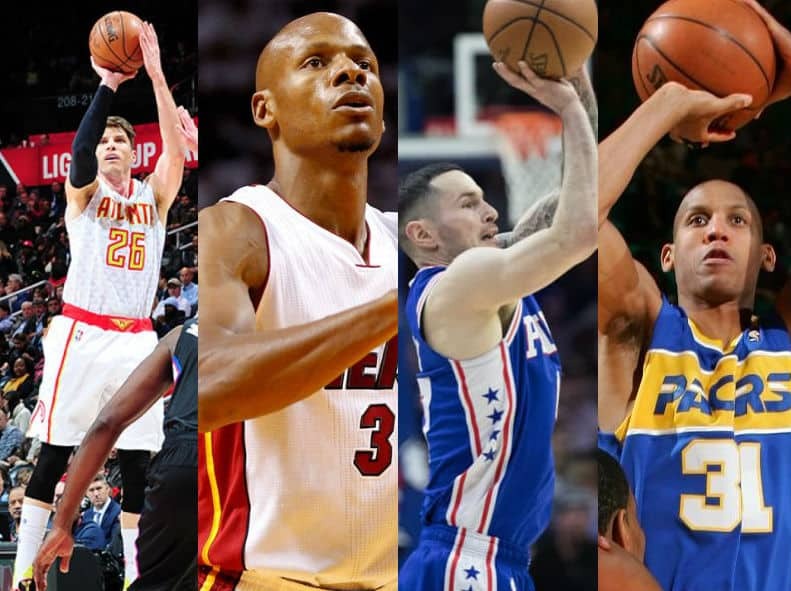 Today we bring you our list of the 10 best shooters in NBA history. We've compiled some relevant stats from basketball-reference to back up our decision to include each player, and because we are stat nerds. Enjoy this list and let us know who we overlooked in our top 10 best shooters list in the comments section. Larry Legend proves that even a white dude from Indiana can make it to the biggest stage of basketball. In fact, he has three championship rings to show for it. Larry was also a twelve time all-star in case the bling isn’t enough to convince you. Shooting wasn’t all this big man did though. He was a supreme trash talker with a knack for backing up his spicy words. It’s too bad he and Joel Embiid didn’t have a chance to face off against each other. That would be an entertaining battle of words. We can’t forget the time he asked his three-point shooting content opponents who would be playing for second place. Of course, he then won the contest. Though Bird doesn’t have as many 3PM as other shooters on this list, he absolutely was one of the best to do it. With ice water in his veins, you can’t ignore his prowess for swishing the ball. 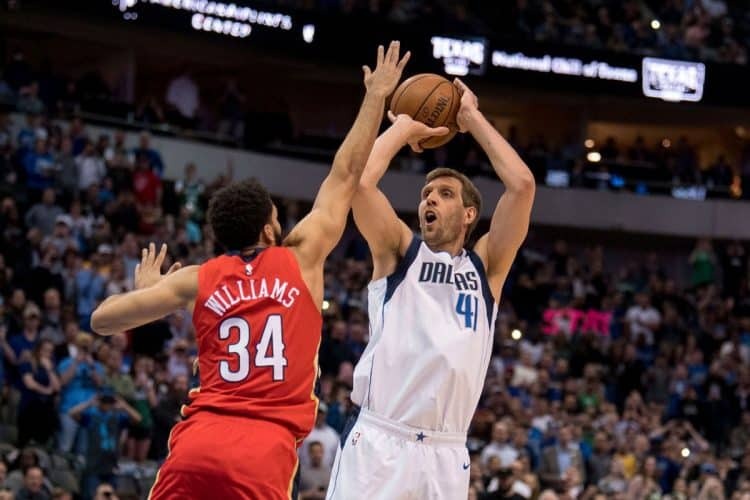 Dirk waited until the very end of the 2018-19 season to let us know he was officially retiring. Although most of us already knew it. As a 7-footer, Dirk doesn’t fit the typical shooter profile but is still one of the best to ever do it. The big German stretch four radically changed the game. He was truly a never before seen type of player who could dominate in the paint and drain threes the next time down the floor. When he and the Mavs shocked the world and LeBron’s Heat in the 2011 Finals, people took notice. We can also thank Dirk for gracing us with the one-legged fade-away. 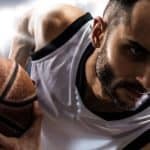 Okay, the rec league players who can’t actually make it aren’t something we love. But the NBA studs who’ve mastered this move, now that’s something we can get behind. Even until his retirement, Dirk was one of the smoothest shooters of all time. Next up we have a current player who is one of the smoothest three point shooters in the league today. Catch him with the Phila 76ers coming in hot off a screen and draining a moving three. This veteran is capable of hitting from anywhere outside the arc in almost any position. Contortionist or baller? Why not both? Seriously, watching this guy shoot on the move is fascinating. It almost makes you wonder if there isn’t a wizard somewhere in the crowd pulling the ball through the net. It’s impossible to figure out how he can move and get open. But J.J. is more than just a three point shooter. He’s also one of the best free throw shooters of all time. He is the go-to option for hitting that tech and is the man you want to pass the ball to when the other team is fouling. For all the fans waiting for free food when he misses two free throws in a row, you’re going to be hungry for a while. If you watch a silhouette of Korver next to Redick you might think you’re watching the same player. The only difference is the way Korver extends his legs when going up for a shot. Otherwise, they are almost identical players. 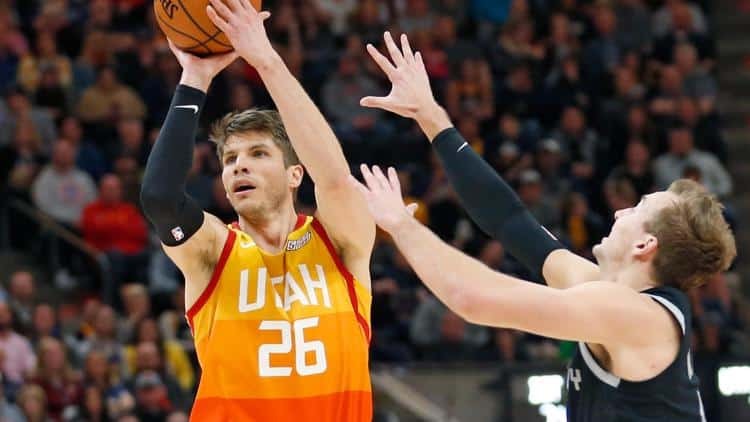 From shooting on command off a screen to a hairpin trigger, Kyle Korver has been influential in redefining what it means to be an NBA shooter. The man with a “dad like face” can knock down a shot in your face like nobody’s business. During his time with the Cleveland Cavs, he earned the nickname “Mr. Fourth Korver” for his reliability down the stretch. Put the ball in his hands when you need a bucket, wait a second, and hear the swish as he puts it through for three. Korver is unique from most others on this list in the fact that he has been traded around the league several times. Though he is a great shooter, the difficulty in finding a long-term championship home hinders him from reaching his fullest star potential. Today you can find him coaching arguably the best three point shooting team in the NBA. 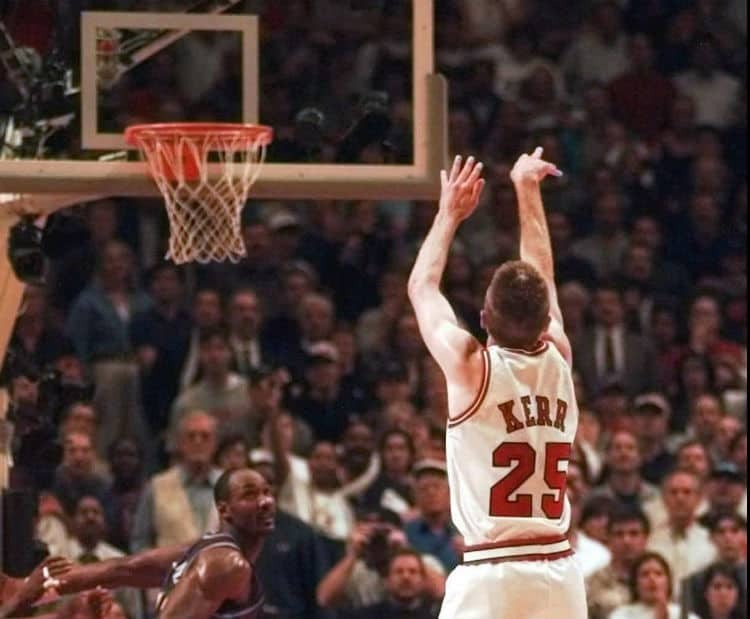 However, Steve Kerr was once a formidable shooter in his own right. It only make sense that the Warriors dominate from behind the arc. 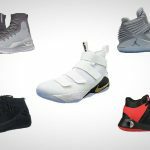 He is the all-time leader in three point field goal percentage, which is impressive considering the talent in the league today. Maybe he coaches the Warriors on the condition neither of the Splash Brothers steal his record. Though he downplays most of his accomplishments, Kerr was a five time NBA champion with both the Bulls and the Spurs. In the clutch moments, he always came through despite not being a number one option on offense. This, and his tremendous efficiency, has more than earned a spot on the list. Though it’s probably only a matter of time until someone (probably one of his players) breaks the 3pFG% record, you can appreciate this man’s talent until then. And afterwards, just remember who set the tone for accurate three point shooting. Remember when we talked about the people who would probably break Kerr’s record? Well this man is one of them. 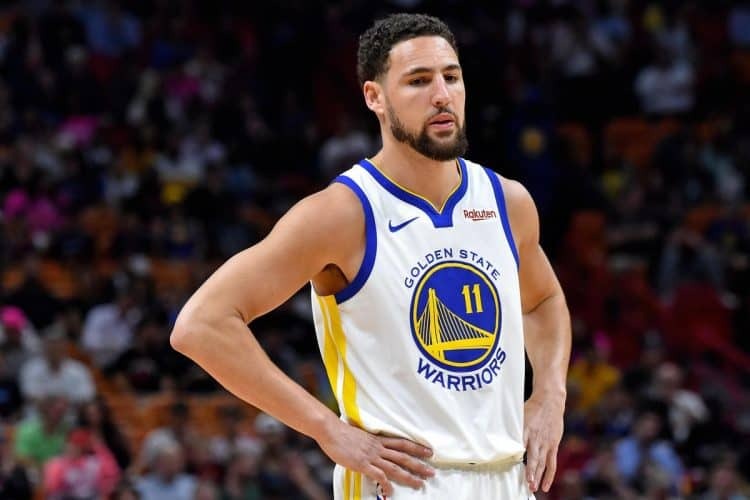 As one half of Golden State’s feared backcourt, Klay Thompson has been a key part of the team’s three NBA titles in the span of four years. Let’s not forget that the Warriors blew a 3-1 lead and the incredible memes that came with it. Anyway, we’re here because of Klay’s prowess for shooting the basketball. Though he is often overshadowed by Steph Curry, he is just as dangerous with the ball in his hands. Behind the line, he has never shot less than 40% in eight NBA seasons. He also takes around 7 three point attempts per day. That’s as close to a guarantee for points as you can get. What we can’t forget is the fact that Thompson has accomplished this with Steph Curry hogging attempts beside him. Imagine what he could do as the number one option. This is truly a man who can get buckets. Just ask the 2015 Kings who surrendered 37 points in a single quarter to Klay alone. Yes, one player scored almost 40 points in a quarter. If that doesn’t warrant consideration (and the whole 40% shooting thing) we don’t know what does. Most people remember Steve Nash as one of the best point guards of all-time. But he was also a lights out shooter from anywhere on the court. The Suns could really use him right now. Actually they’ve been in pretty bad shape since he left. Quite a testament to the talent he carried the team with. Nash has stayed relatively quiet since retiring, avoiding announcing or ESPN jobs unlike many other stars. Still, he was a four-time member of the insanely select 50-40-90 (FG-3P-FT) club. We might as well count it as five because he only missed by one-tenth of a percent in another season. Defenders on Nash not only had to worry about his precise passing and court vision but his ability to drain it from anywhere. Whether it was mid-range shot or a three point bomb, he could knock shots down like the best of them. That’s why he’s on this list after all. 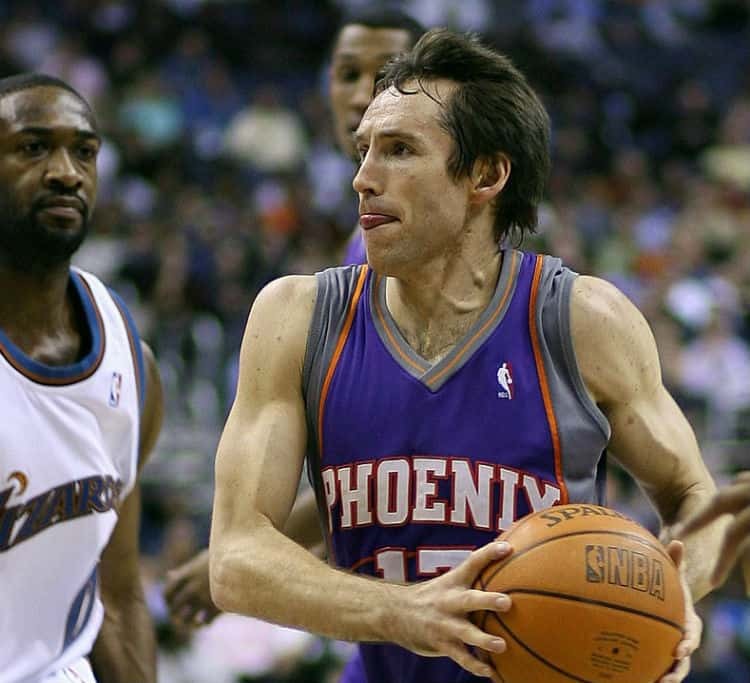 As the Suns hope for a great draft pick in the offseason (if you’re reading this in 2030, it’s probably still true anyway) we can reminisce about Steve Nash and the days when the sun shined brighter in Phoenix. Though many of you may know Reggie for his voice in the TNT broadcast headset or from 2K basketball, he was an outstanding player on the court. His shooting form isn’t what fundamentals coaches want to teach players, but it got the job done. 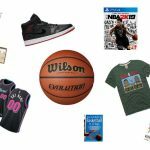 In fact, it landed him in second place for the most three pointers made in NBA history. In a way, it seems wrong to include Miller here because his form is so strange for great shooters. But then again, the same can be said for the likes of Dirk. Regardless, he earned the spot with an impressive track record with even better numbers. Shooting just under 40 percent form behind the line in his career, Reggie is an all-time great in the long-distance department. Though he shot through the league prolifically for many years, perhaps his greatest performance was against the 1995 Knicks when he somehow managed to score 8 points in 9 seconds. Talk about a comeback. From a player whose shot form makes you cringe to one who makes you awe in wonder. 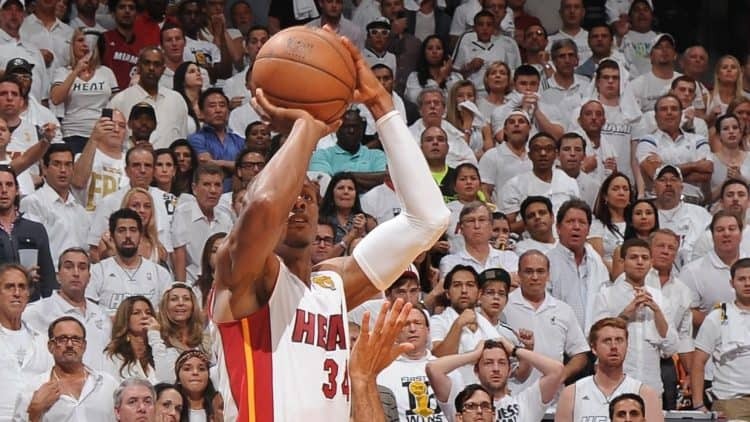 Ray Allen has arguably the prettiest shot of any of these shooters. Between textbook mechanics and a lightning quick release, his shot puts him atop the record board for most made threes in NBA history. Throughout his time in the league, his best shot was the championship-saving three in game 6 of the 2013 Spurs-Heat Finals. We still aren’t sure how he got it to go down with all the pressure. 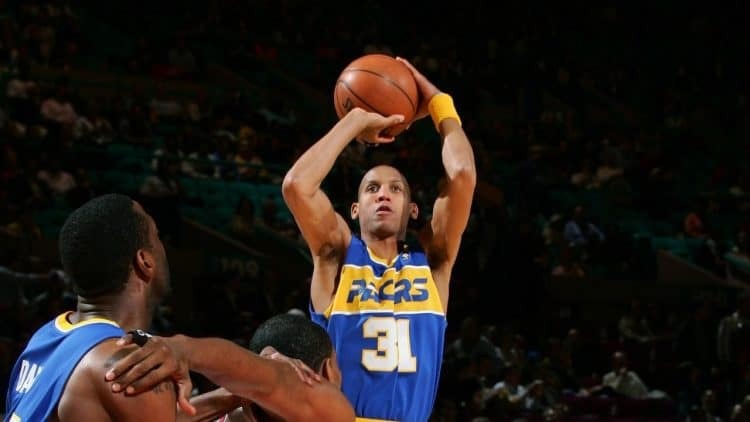 Though Ray ended his career as a spot-up shooter, he was a versatile scorer in his early days. He had a chance to play on some of the greatest teams in the NBA at the time and made the best of it. 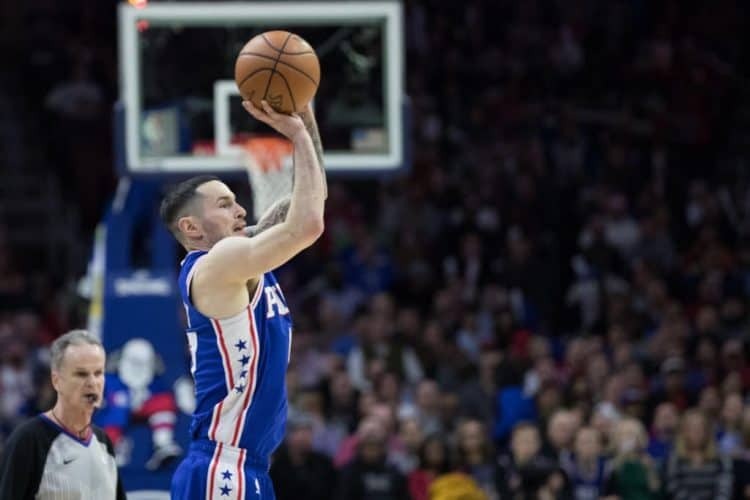 Allen is a superstar in every aspect and one of the best shooters the league has ever known. Though his record will likely be broken eventually by the next (and #1) shooter on this list, he deserves ultimate respect for it. He led the way for players like Curry and proved just how deadly the three point shot can be in the modern NBA. Does this come as a surprise to anyone? If so, you probably haven’t been watching the NBA for the past nine or ten seasons. For those of us who have seen the Warriors and Steph play, we know there’s no disputing his top spot on this list. True, he doesn’t hold all the three point shooting records. But he’s hot on the heels of NBA history in almost every shooting category. Did we mention he’s only played 10 seasons? Currently sitting in third place for most threes all time and never ending a season below 41% behind the line is extraordinary. Not to mention he already owns three championship rings and is still competing for more. Curry’s shooting has been the key factor in turning a dismal Warriors lottery team into a formidable dynasty. Whether he’s making clutch threes in the game, half-court shots in warmups, or nailing a three-quarter-court shot to beat the buzzer, we’ll never get tired of watching Steph splash. TS% (True Shooting Percentage)= Includes 2's, 3's, and free throws in its shooting percentage calculation. Buckets: Overall scoring prowess of player. Clutch Gene: Player's ability to hit clutch shots. 3-Point Land: Player's shooting skill from deep. Mid-Range: Player's shooting skill from 2 point area. 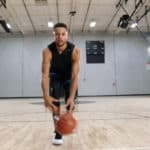 Free Throws: Player's shooting skill from the stripe.